Graphic design is my passion! You can tell by this absolutely not terrible and poorly designed at all banner! 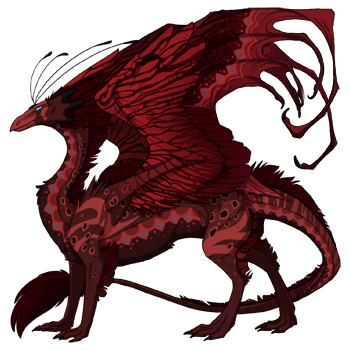 I don't have any specific set of focus breeds or genes, but at the moment my pairs contain large numbers of Skydancers, Pearlcatchers,, Nocturnes, and Ridgebacks, with many more pairs under construction. There is also currently a lot of Butterfly, Poison, Toxin, Spinner, Iridescent, and an unstormcatcherly amount of Glimmer. This is very much a WIP but it's open anyway. Will commence fabulousification later, when my art skills improve enough that i can make something that doesn't look like pixel vomit. Not currently doing pinglists for individual pairs. It's just not practical with my limited lair space. Any dragon here may be exalted for lair space without notice. The only ones semi-immune to this are in the Highlights section. Dragons who's names are shown with "s around them are Unnamed. The general pinglist means you will be pinged for whatever dragons are left after i'm done weeding out the less desirable hatchlings for space, unless you specifically request something. All dragons will be listed on the AH. All dragons will have Lightning eyes unless otherwise stated. I delete pings with new hatchlings listed in them that are more than 5 days old and/or contain dragons that have all been sold to prevent clutter. Do not talk about Flight club. These are the dragons that i feel are the best out of those i'm selling. These are pairs that still need work before i can add them to the main list. A pair that is doing Beta nests means that I've started test-breeding them and may sell their offspring here. Let me at your dragons!